SortFix (free) is an iPad search engine featuring visual sorting, allowing one to conduct refined search queries and in the process receive more precise results. Hits: Colorful, well-designed user interface, providing a simple method of searching for images, video, websites and Tweets on a given search term. 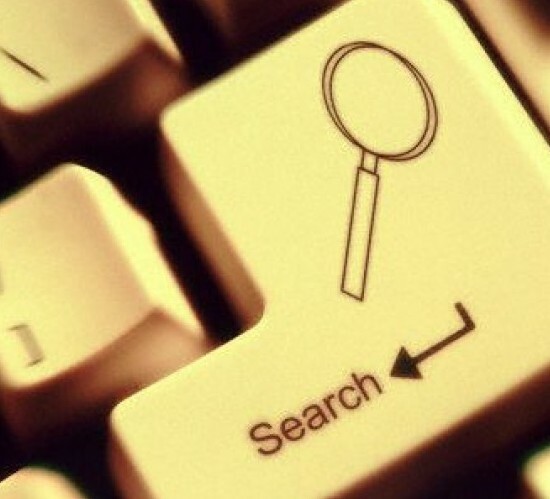 Misses: Web and image searches are powered only by Bing. Using SortFix to conduct searches may prove to be too much work for those who are satisfied with their present, default, iPad search method. Conducting searches using the iPad take many forms depending on who you are, what you’re looking for, and which apps you use. For photos there’s Flickr, for videos there’s YouTube, for social network searches there’s Twitter for iPad, Flipboard, and others and for basic web searches there’s Google or Bing using Safari Mobile. In other words, the iPad offers many methods to execute searches in a myriad of ways. has recently updated their iPad version of what one can access via the internet. SortFix on the iPad aims to combine the search methods listed above into one, well-designed, useful, app, making searching not only easier, but also more precise by adding features previously unavailable with other apps. The design is clean, colorful, and, at first glance, easy to use. Once you begin using Sortfix however, you see that while it seemingly does provide more precise search results, the interface requires a bit of learning to master before one realizes the app’s full potential. That’s correct. Unlike the browser-based version of SortFix, the iPad counterpart does not offer a Google search option, instead using Bing exclusively for image and web searches. Never the less, what you see above are not only the fruits of my search labor, but also SortFix’s Add/Remove boxes to improve and filter a search. Moreover, SortFix attempts to refine search results by analyzing keywords of interest within search engine results, presenting them as “Power Words,” suggested keywords, extracted in real-time by Sortfix algorithms. This is where SortFix is both fantastic and potentially frustrating for users. “Power Words” are presented to assist users in building a personal, visual, query. In theory proper use of the “Power Word” functionality helps users refine searches when one of the words is dragged to the “Add to Search” green box, and irrelevant words are placed into the “Exclude” red box. I found the feature did result in providing more precise search returns. Users looking for speed or those who simply don’t care to experiment with refining their searches may find these features laborious and shun them, and the app, altogether. A search for “The Next Web” provided nothing of value if one seeks Tweets by our site or images from our site. However, a search of the term “@TheNextWeb” returned exactly what one would expect, Tweets concerning our site and images used on our site. Again, those willing to work with the app to refine their search results can achieve great accuracy. Those unwilling to do so will discover SortFix is not the search engine for them. •	Play with the words and try different query combinations until you “nail it” and find exactly what you need. •	Don’t use too many words at once. The best way is to add or exclude only a few words at a time, then press the search button, and so on. •	If you are not sure whether a “Power Word” is related or unrelated to your search, just leave it in the “Power Words” grey box. •	As you focus your search query, the “Power Words” will be improved. I really enjoy SortFix and found it extremely useful. Adding Google search capability would be grand, but even without it SortFix can aid anyone in creating more detailed search queries and therefore, providing better search results.results.